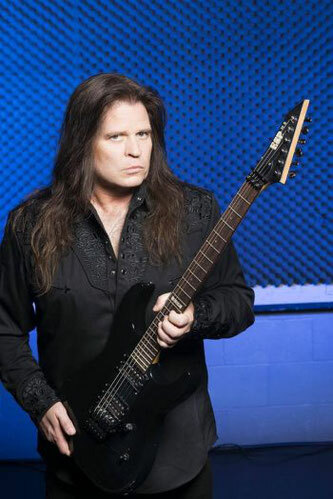 Dream Child was conceived during a brainstorming session with Serafino (President of Frontiers) and Craig Goldy one day while discussing other matters. 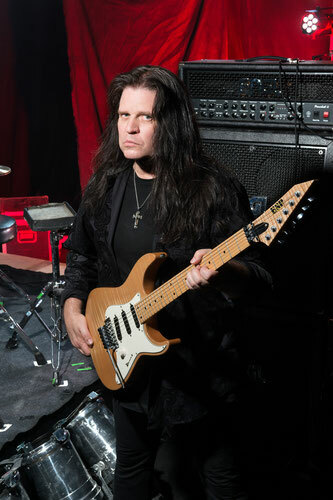 Craig had been listening to a lot of his favorite bands a lot recently, Deep Purple and Rainbow's “Rising" album, among others in that style and had noticed that many people who also love those bands often have the very same comments as one another: "They don't make music like that anymore!" Even though Craig said that in passing, Serafino asked him a question that would forever shape his future. Read our interview with Craig down below! What is your favorite song from the album, and why? 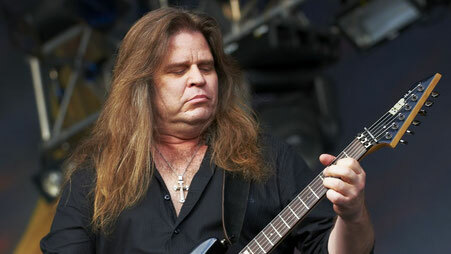 Craig: ''I’m still that fan who first listened to Deep Purple and Rainbow for the very first time! I don’t trust people right off the bat like I used to.....but if they are trust worthy.....then not much has changed at all! Craig: ''What I’m about to say.....I say with complete love, respect and understanding! But what I’m afraid of.......is that the internet has made it so easy for our music to be stolen! Like I said earlier.....I’m a fan who got into the band! I’ve had so many wonderful experiences, that I would never trade for the world. Many of us who made a name for themselves in the 80’s were paid as sidemen. We didn’t belong to bands with an equal share like the Van Halen’s, the Aerosmith’s, the AC/DC’s.....and so forth....and quite frankly I know many people think that since these bands became millionaires that they can miss a few royalties here and there......I can understand that! Also...like I said before.... I paid for the vinyl’s.....and the CD’s......and as I moved from place to place.....apartment to apartment...and so forth.....a lot of those CD’s and vinyl records went missing......and since I already paid for them twice......I feel entitled to listen to certain songs for free on Youtube.....I understand that! I also understand that people became sick and tired of forking over $12-$15 dollars for a CD and only getting 2 or 3 good songs......I understand that! I understand that the song previews on iTunes can often be misleading......just like movie previews......and you go and pay to see the movie only to find out it sucked and you were misled by the previews.......I understand that too! And now many bands are over charging for concert tickets and meet & greets trying to compensate for their music getting stolen.....I understand that too to a certain extent! People often sit back and say...”Oh here we go again.....another so-called super-group and everyone is doing ten different projects all at once......can’t they commit to one project?!! !”........Well, it’s those very same people that make us do ten different projects just so that they equal the amount of money that one used to bring in......and it’s because those same people are the one’s stealing our music! We must restore the balance again! I’m not asking to become rich off of the backs of people who are struggling to pay their rent! I’m not asking for fans to build me a mansion on the hill with a golden toilet seat.......I’m just tired of struggling and consistently putting in 24/7 type hours back to back, day to day, week to week, month to month and year to year......just to barely get by! I’m not asking for sympathy....I’m saying that if you like a song.....pay 99 cents or $1.29 for it! There are so many people that say to me....."hey I’m following you on Spotify.......you guys are great! ".......well......that really breaks down to....thanks for the .000003% of a penny!! I understand streaming! Like Netflix for example! However....at least those movies got a chance in the theaters.....and then HBO and Showtime......and then On Demand for the cable subscribers.......then Redbox here in America......then Netflix. Our music most of the time goes straight to streaming! Trying to get the world’s best musicians together.....to give their best performances.....their best ideas....only to have it stolen is a very difficult proposition! But that is what I’ve done here with Dream Child! Someone has to stand up and say to the world.....”I’ll do it”......”I’ll give it my best, and get the best musicians in the world together to give their best performances and best ideas in order to make a great album”.......and if you steal from me......well so be it......however let’s not forget that money is a tool.....to be used to make this world a better place for all of us! I remember when I was still in Rough Cutt, Ronnie James Dio gave me an envelope with a name and an address and asked me to hand deliver it......he knew I would without question.....so I drove to the worst part of Hollywood, within the worst and most pain in the a** parking situation......found the place......knocked on the door......and handed the envelope to the person Ronnie wanted me to give that to! They looked at the envelope as if the President of the United States had just sent them a private message......it turned out to be a rent check.......that particular fan was having trouble paying their rent.....so Ronnie paid it for them! Ronnie said to me “Shhhhhh......don’t tell everyone.....cause then everyone will want me to pay their rent too......but some people just need a little extra helping hand once in a while”. I still think to this day that the “Sacred Heart” and the “Dream Evil’ stage sets never really got the message he was sending in full! For the same price that you could go see any other band.....you could go to a Dio concert! But, at a Dio concert you got an 18 foot Fire Breathing Dragon that lasers shot out of his eyes and explosions would occur wherever those lasers landed......a Giant Metal Spider and lasers shot from my guitar hitting the Spider with explosions and so forth.....but he didn’t hike up the ticket prices for that.......it was his way of giving back to the fans! He did a string of concerts to build a shelter for a charity that would rescue kids caught up in drugs and prostitution when they flocked to Los Angeles in hopes of becoming a star. That shelter was a huge complex! It had counselors to help the kids get off the drugs......counselors to help them with why they got messed up with drugs in the first place......they could get their GED, a College Degree, Bachelor’s Degree, a Master’s Degree.......there was a ten or 15 year reunion with those kids that were rescued......and one of the before pictures was of a guy who pissed his pants because he was so high he didn’t even know he had to go.......and is now a 5 star General of the United States Army! This was made possible because of the balance between the band and the fans! Ronnie treated his fans so great! I definitely don’t have to go into detail about that! And that’s the reason behind my favorite part of touring with the Dio Disciples.......after the concert.....I get to go onto the floor in the middle of the crowd .....not by the merch table to try and sell T-shirts......not a paid meet & greet.......Ronnie never did paid meet & greets......but I get a chance to treat the fans in the crowd the way Ronnie did! So that way they knew that his “way” didn’t die with him! There’s so much more to this......but this is too long as it is.......so.....I hope you like the new Dream Child album.......and I hope you think twice before you consider how easily it can be stolen.......and the ripple affect it actually has!!! Thank you so much Craig for doing this big interview with us! 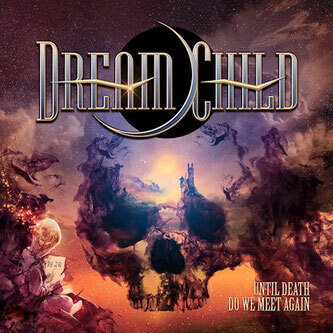 Read the review of Dream Child's ''Until Death Do We Meet Again'' here!